In this excerpt from “Jony Ive: The Genius Behind Apple’s Greatest Products,” author Leander Kahney describes Apple design genius Jony Ive’s first big assignment. Jony’s first big assignment at Apple was to design the second-generation Newton MessagePad. The first Newton hadn’t yet been released, but the design team already hated it. Thanks to a rushed production schedule, the first model had some serious flaws that Apple’s executives, as well as the designers, were eager to fix. Just before the Newton was shipped, Apple discovered that the planned lid to protect its delicate glass screen wouldn’t clear expansion cards, which were to be inserted into the slot at the top. The design group was charged with developing some quickie carrying cases, including a simple leather slipcase, and off it went into the marketplace. In addition, the Newton’s loudspeaker was in the wrong place. It was in the palm rest, so the user tended to cover it up when holding the device. The hardware engineers wanted the second-generation Newton (code-named Lindy) to have a slightly larger screen for better handwriting recognition. Since the pen was attached awkwardly to the side, a kludge that gave the Newton extra width, they wanted the new version to be significantly thinner; the original was so bricklike, only the largest of jacket pockets could accommodate it. Jony worked on the Lindy project between November 1992 and January 1993. To get a grip on the project, he began with its design “story” — that is, by asking himself, What’s the story of this product? The Newton was so new and versatile and unlike other products, that articulating what it was primarily used for wasn’t easy. It morphed into a different device depending on what software it was running, so it could be a notepad or a fax machine. CEO Sculley called it a PDA but, for Jony, that definition was just too slippery. “The problem with the first Newton was that it didn’t relate to people’s everyday lives,” Jony said. “It didn’t offer a metaphor that users could grasp.” He set about fixing that. Wikimedia CommonsThe first generation of the Newton. Check out that clunky stylus. To enhance that moment, Jony designed a clever, spring-loaded latch mechanism; when you pressed the lid, it popped open. The mechanism depended on a tiny copper spring carefully calibrated to give just the right amount of pop. To allow the lid to clear any expansion cards in the slot on top, Jony created a double hinge to allow the lid to clear any obstructions. When the lid was open, it flipped up and over the back to be stored out of the way. That conveyed something to the user too. “Pushing the lid up and around the back was important because the action is not culturally specific,” Jony noted at the time. Next, Jony turned his attention to the “fiddle factor,” the special nuances that would make the product personal and special. The Newton was pen based, so Jony focused on the pen, which he knew users would love to play with. Jony’s solution to the challenge of reducing width and integrating the pen into the MessagePad itself was a storage slot at the top. “I insisted the lid fold up and over the top, like a stenographer’s notepad, which everyone understands [and] . . . users saw Lindy as a notepad. The stored pen at the top, where a stenographer’s notepad’s spiral binding would be, made the right connection. The slot was too short for a full-size stylus, so Jony created a stylus that cleverly telescoped. Like the lid, the pen featured a pop-up mechanism that made it pop out when the user pressed its top. To give it weight and heft, he fashioned the pen from brass. His colleagues all went nuts for it. “Lindy was Jonathan’s shining moment,” said fellow designer Parsey. 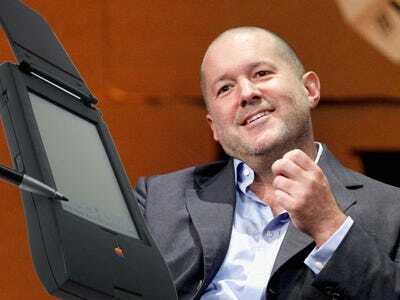 On top of all this, Jony was under an extremely tight deadline with enormous pressures to deliver. The first edition of Apple’s pioneering handheld device had been doomed by the Doonesbury cartoon that came to define it. Cartoonist Gary Trudeau depicted the Newton’s handwriting recognition as hopeless, delivering a gut punch to the device from which it never recovered. Thanks to Trudeau, the first Newton MessagePad had to be replaced as quickly as possible. The pressure fell to Jony. “When you’re aware of the lost revenue each day the schedule slips, it tends to focus your attention,” he said with typical British understatement. To the amazement of his colleagues, Jony was able to go from the initial design to the first foam concept models in two weeks, the fastest anyone had seen. Jony was determined to finish the project on time, and he traveled to Taiwan to fix manufacturing problems. He camped out in a hotel near the factory where the Newton would be made. He and a hardware engineer troubleshot the pen’s pop-up mechanism in his hotel room. When it was done, Jony’s colleagues were stunned and impressed with both the new Newton and Jony, who had joined the team only months earlier. Apple executive Gaston Bastiaens, who was in charge of Newton, told Jony he would win every single design award. He nearly did. After Lindy’s introduction in 1994, Jony won several of the top awards in the industry: the Gold Industrial Design Excellence Award, the Industrie Forum Design Award, Germany’s Design Innovation Award, a Best of Category award from the I.D. Design Review and the honour of being featured in the permanent collection of the San Francisco Museum of Modern Art. 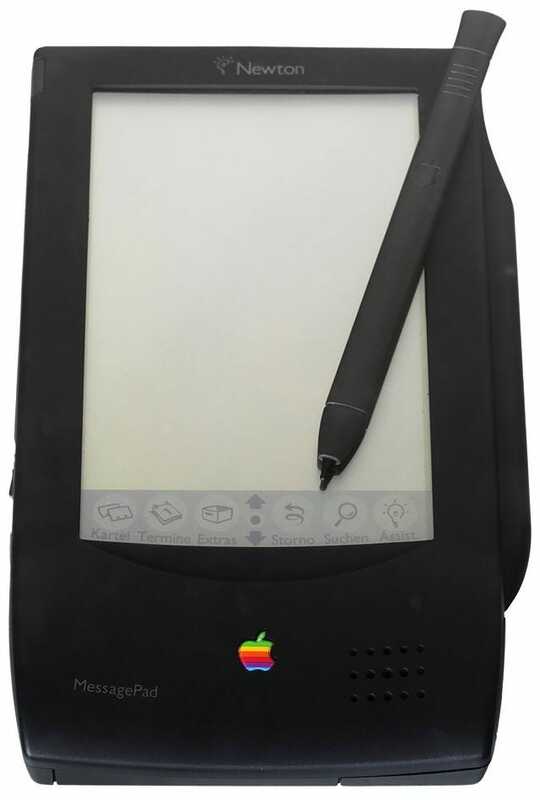 Jony’s Newton MessagePad 110 was on the market by March 1994, only six months after the original Newton went on sale. Unfortunately, no amount of fiddle factor was enough to save the Newton, as Apple made a series of blunders marketing it, both rushing the first device to market before it was ready and hyping its capabilities. In the face of unrealistic expectations, the Newton never reached critical mass. Both generations of Newtons were also plagued with battery problems and the poor handwriting recognition that Trudeau mocked. Not even Jony’s stellar design work could save it. Excerpted from “Jony Ive: The Genius Behind Apple’s Greatest Products,” by Leander Kahney, in agreement with Portfolio, an imprint of Penguin Random House. Copyright © Leander Kahney, 2013.